It is very seldom that a Philatelic Numismatic Cover combining a stamp and a coin is issued - the 90th Birthday of Her Majesty The Queen is certainly one event that requires such a tribute. 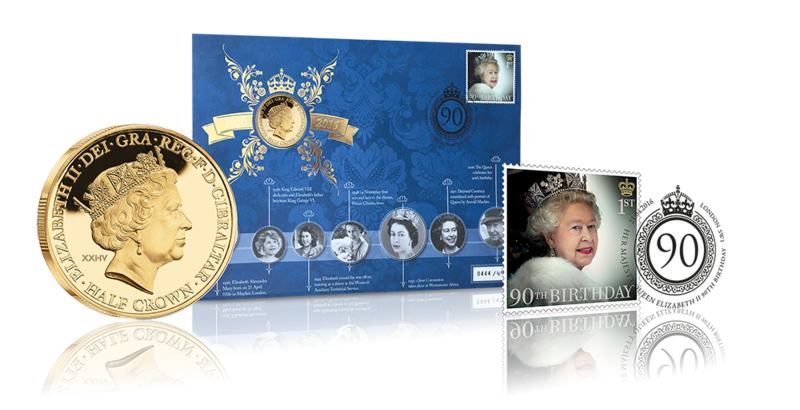 Combining the very best from the world of stamps and coins the Queen Elizabeth II 90th Birthday Philatelic Numismatic Cover, limited to just 4,999 worldwide, is certain to be highly sought-after by both coin and stamp collectors alike. What makes this set completely unique is that it captures a golden moment in the life of Her Majesty The Queen - her 90th birthday on 21st April 2016. 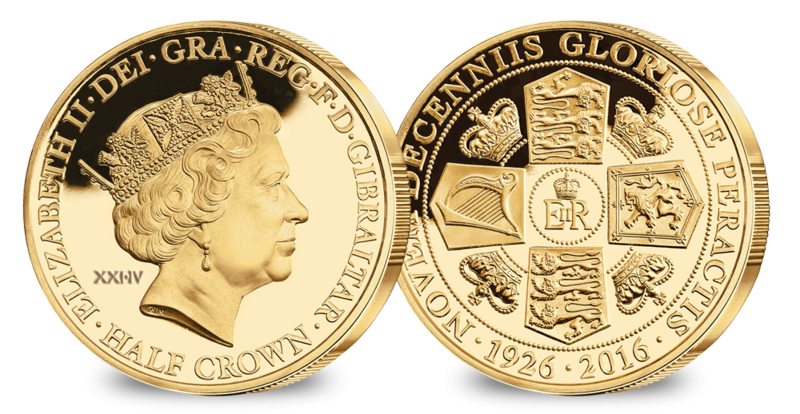 On that very day, just 4,999 of the Queen’s 90th Birthday Coin, layered in pure Gold, were struck. 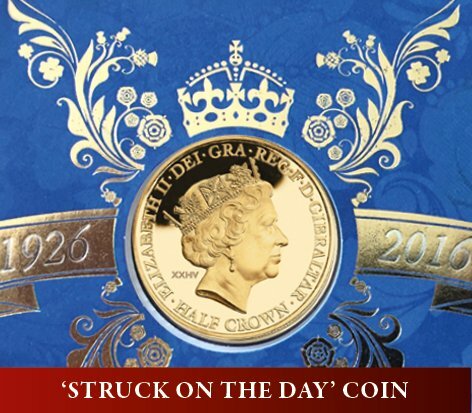 The design features a brand new 90th birthday portrait of the Queen - one created exclusively by British and Commonwealth coin designer Raphael Maklouf. Minted in proof condition - the highest quality possible, this historic issue features the date 21st April in the form of roman numerals XXI.IV laser engraved onto the coin. The official Royal Mail 90th Birthday postage stamp of Her Majesty the Queen adorns this stunning envelope. 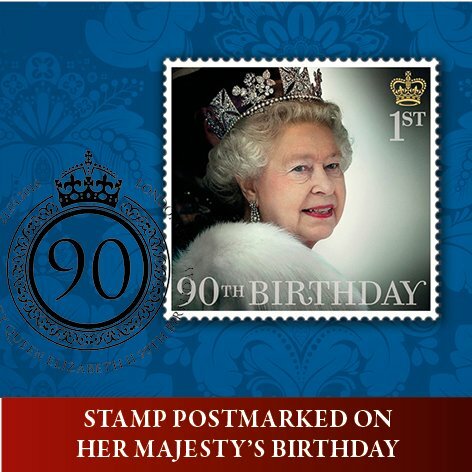 It has been officially postmarked on the stamp’s First Day of Issue – 21st April 2016, the exact same day that the Queen reached the milestone age of 90. The official cancellation took place in London SW1, the postal district which includes Buckingham Palace. The cancellation mark itself was specially designed for the occasion and shows the figure ‘90’ topped by a crown and encircled by the date and the words ‘Her Majesty Queen Elizabeth II 90th Birthday’. As the Queen becomes our oldest and longest reigning monarch this is the perfect opportunity to reflect on how extraordinary her reign has been and how wonderfully she has served our nation and the wider Commonwealth. 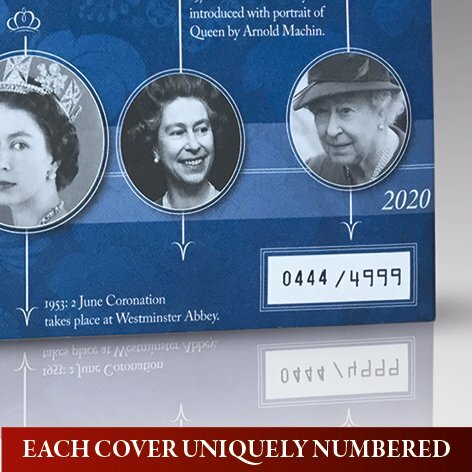 Struck and cancelled on the very same day in history that Her Majesty celebrated her milestone birthday, The Queen Elizabeth II Philatelic Numismatic Cover is a rare and highly collectable piece of history, limited to just 4,999 worldwide, it is one that can never be repeated.